The role of secondary cities and cross-border travel will be key, says Marc Ruffet, Commercial Director, Khiri Travel Thailand, in order to change perceptions of Thailand. In 2015, the Tourism Authority of Thailand (TAT) started to promote what it called “12 Hidden Gems of Thailand” to help refresh perceptions of Thailand. These secondary tourism cities and provinces include Lampang, Petchabun, Nan, Buriram, Loei, Samut Songkhram, Ratchaburi, Trat, Chanthaburi, Trang, Chumphon, and Nakhon Sri Thammarat. Thailand’s tourism gems aren’t the finished item. They need to be cut, polished and presented. And of course, Thailand has many more than 12 upcountry gems. But a small number can open the door for more to come. They are great towns and provinces. Some of the best food, museums, bike rides, river trips, folk music, heritage, temples and remarkable landscapes can be found there. As Thailand goes more mass market, there is increasing carrying capacity challenges at hotspots in Bangkok, Phuket, Pattaya, Samui and Krabi. The 12 ‘gem’ cities are good for repeat visitors who have seen the major sites but want to dive deeper into upcountry Thailand; they are good for visitors who want the option of continuing their travels into neighbouring countries. 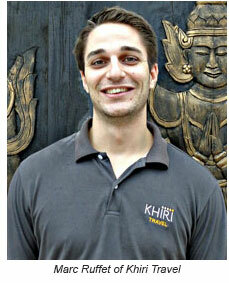 Khiri is on a mission to redefine its top Thailand destinations away from the well-known hubs. That’s why we will start to promote more travel experiences in ‘gem’ provinces such as Chanthaburi, Buriram, Nan, Phrae and Loei in early 2017. Khiri Travel, with offices in Thailand’s neighbouring countries and beyond, has 23 years experience of cross border tourism, taking visitors away from the crowds to more authentic travel engagements with Thailand and Indochina. So, as we step into the new year, Khiri plans to be at the forefront of tour operators who are refreshing foreigners’ perceptions of Thailand. 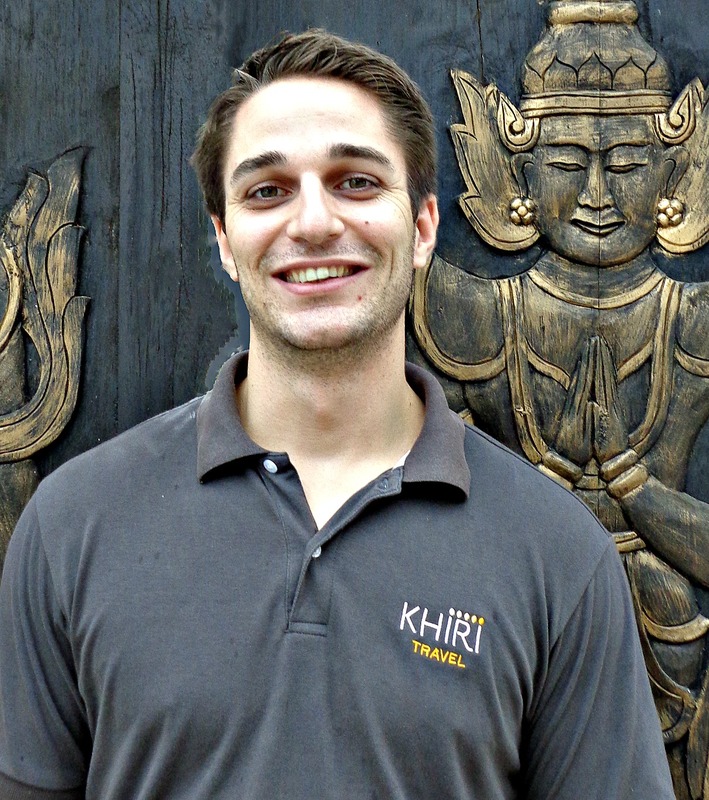 As we are passionate about quality of our guests’ Thailand experiences, Khiri explores these areas first-hand. This sets us apart from many of our competitors. Chanthaburi — Beyond the French colonial influences of the town, experience Wat Saman Rattanaram (with its strange deities), a mangrove forest study walkway, a moss covered stupa at Namtok Phliou national park, an evening stroll along heritage street and an overnight at a quiet beach resort. Chanthaburi is a convenient stepping stone to beach resorts on Chang, Kut and Mak islands, Trat town, and western Cambodia. Nan/Phrae — In the north we visit Phrae for fascinating teakwood buildings, Burmese style temples, stunning mohom textiles, a WWII museum and more. We visit a miniature moonscape and end up on top of a mountain in a tent with a stunning night sky to admire. In Nan there are graceful Lanna style temples, impressive murals, a remarkable art gallery and a great night market. Nan/Phrae can be easily combined with Chiang Mai/Rai, the Shan states of Myanmar and central Laos. In 2017, Khiri Travel will present innovative travel to Thailand’s ‘gem’ destinations through three- to four-day experiences. These can be easily added to existing programs, especially by making good use of Thailand’s budget airlines. 2017 promises to be an innovative year for Khiri Travel as we share new aspects of Thailand with visitors who want to take their appreciation of the destination to a new level.